Big Gamer with Multimedia Ambitions. 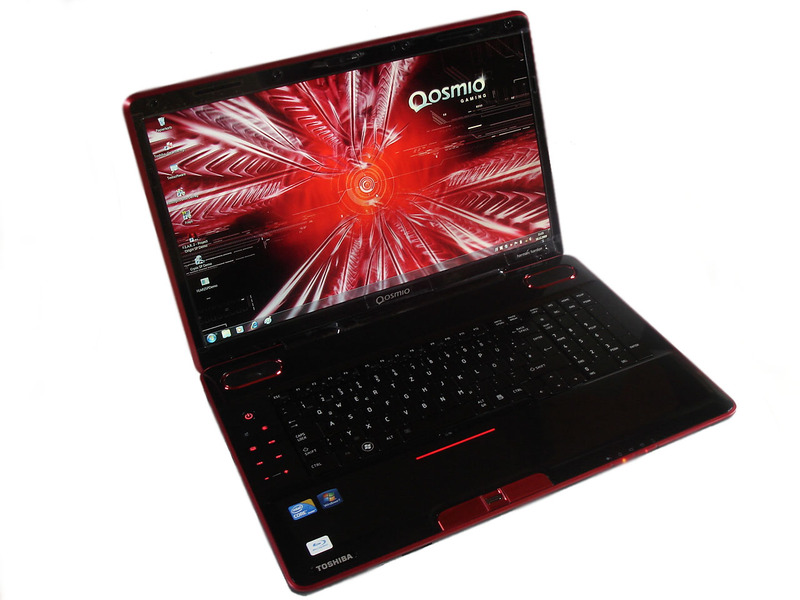 Toshiba presents a 18.4 inch notebook that is predestined for gaming thanks to the heavy duty Core i7 processor and the allegedly efficient GeForce GTS 250M with its Qosmio X500-10V. The desktop replacement notebook is equally qualified as an entertainment system with an integrated BluRay drive, a FullHD resolution display and a sound system. Read in our review if these pretensions can be completely satisfied. 80% Gib Gas, ich will Spaß! NVIDIA GeForce GTS 250M: The GPU has 96 shader cores but only a 128 bit memory bus that supports GDDR5 memory. With DDR3 memory, the GTS 250M performs clearly worse. Because of the 40nm process (and a selection process) the 250M offers a relatively low power consumption (the 260M needs 10W more). Non demanding games should be playable with these graphics cards. » Further information can be found in our Comparison of Mobile Graphics Cards and the corresponding Benchmark List. 83.17%: This rating should be considered to be average. This is because the proportion of notebooks which have a higher rating is approximately equal to the proportion which have a lower rating.